Looking for a way to honor a friend or family member that had served in the military honorably? 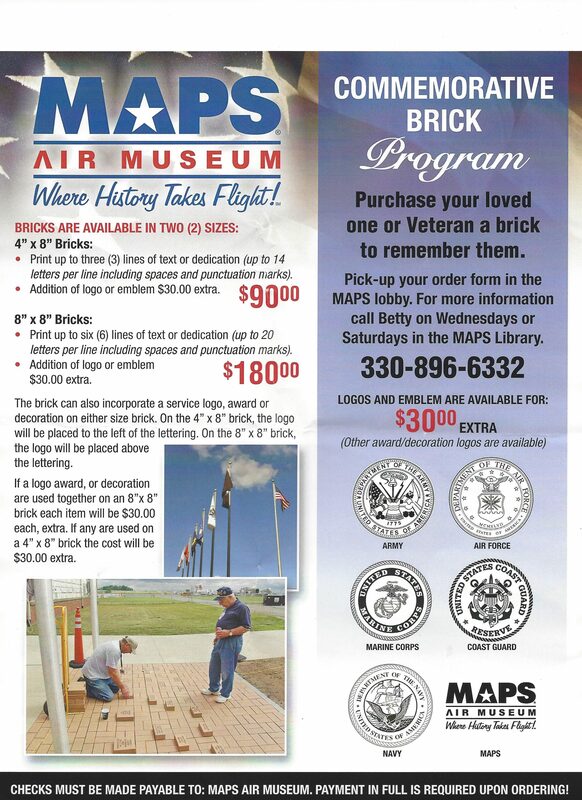 We have a great idea for you and one that will last a long time: MAPS Commemorative Brick Program. Do this for Veterans Day, Memorial Day, Mother’s/Father’s Day, a birthday or just because.